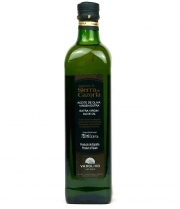 Sierra de Cazorla - Glass bottle 750 ml. 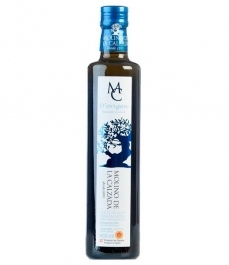 Extra virgin olive oil, obtained from the olives of several varieties: picudo, picual or marteño, hojiblanca, lucio, nevadillo of Alhama de Granada and loaime. Light oils in the mouth. They present a wide range of aromas to fresh, ripe fruits, grass, fig, etc. 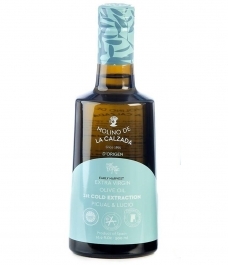 In addition, by the perfect combination of different attributes, we can find balanced and round oils, which present certain bitterness and itchiness in perfect harmony with sweet tastes. This area comprises the lands located in the municipalities of Algarinejo, Alhama de Granada, Arenas del Rey, Cacín, Huétor Tájar, Íllora, Jayena, Loja, Montefrío, Moraleda de Zafayona, Salar, Santa Cruz del Comercio, Villanueva de Mesía , Zafarraya, Zagra, and from Moclín the western zone comprised up to the natural limit defined by the river Velillos, all of the province of Granada.